Interest is starting to build for the Thanksgiving weekend tournament. The home town UBCOB Ravens will have a strong following but fans from Alberta living in BC are also making plans to be in Vancouver supporting the Nor'Westers. Online, fans from Ontario and New Brunswick will be eager to watch the Facebook live stream and support their teams. These are the long lists, the match day 23 will be announced by Friday noon. Each team were able to pick up 4 players from other clubs in their region. 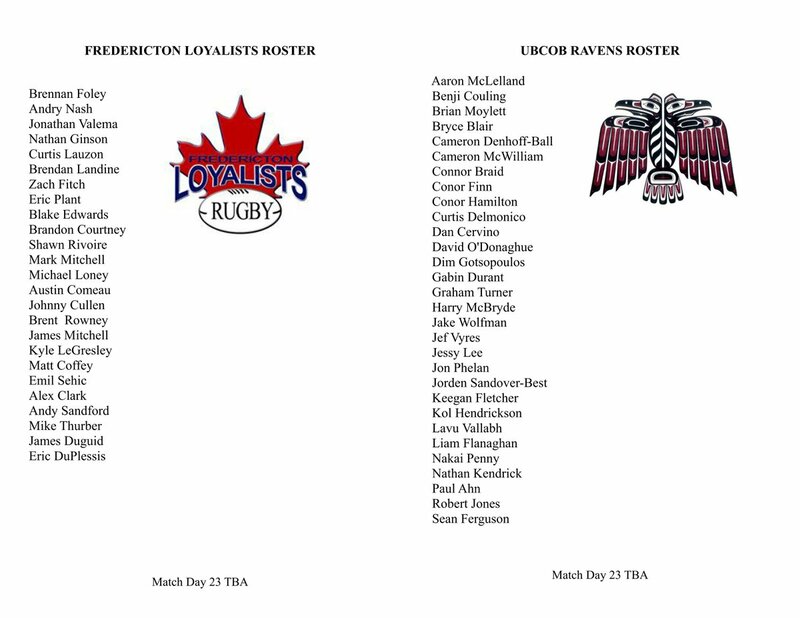 Vancouver, BC – October 4, 2018: UBCOB Ravens will represent the Province of BC in this weekend’s inaugural Canadian Rugby Club Championships, taking place on October 5 and 7 at Klahanie Park on Vancouver’s North Shore. 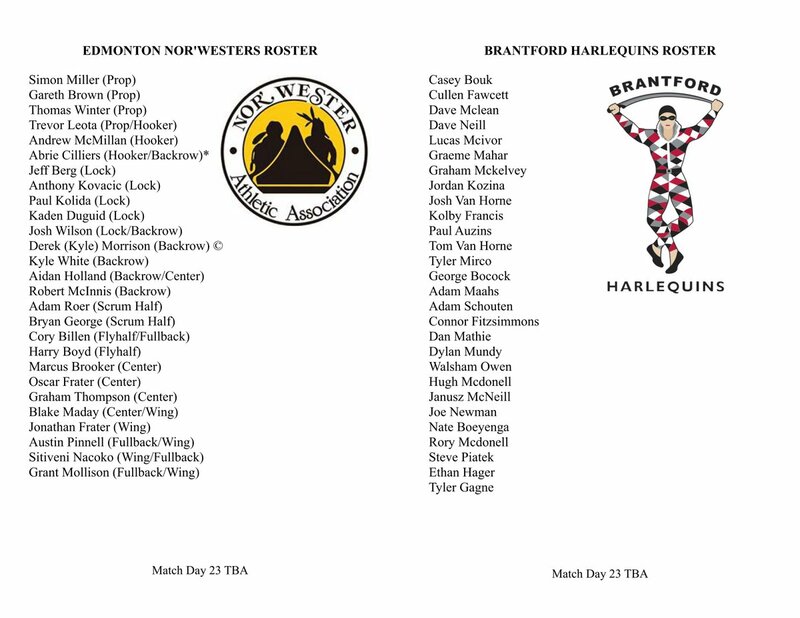 The Ravens will compete alongside Fredericton Loyalists (New Brunswick), Brantford Harlequins (Ontario) and Edmonton Nor’Westers (Alberta) to determine the top Senior Men’s Club team in the country. Tickets are $20 for adults for a single day, $30 for a 2-day tournament pass, and students (under 19) with ID receive free admission. Clubs earned the right to compete in this newly establish tournament by being the reigning champions of their respective Provincial leagues. The Ravens were amongst the first to secure their sports, defeating three-time defending champions UBC Thunderbirds at the BC Rugby Club Finals in Abbotsford back in May of this year. Speaking with James Thompson, Director of Rugby at UBCOB Ravens, it was easy to sense the significance of this weekend’s climactic matches for both the players and club as a whole. “For the older guys around the club, you can sense the excitement and desire to win this competition. The classic “back in my day…” lines are coming out thick and fast, but I suppose it’s a chance for this group of players to cement their own place in the Ravens history books”.